Sort of an online diary of thoughts and things that interest me. Written for me, and only maybe of interest to anybody else. I found this funny. 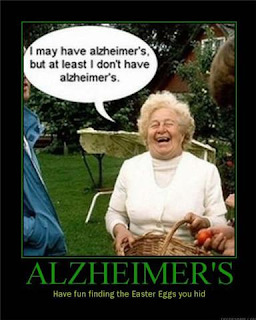 I know it probably shouldn't be funny, and the people whose families have experienced Alzheimers may struggle to see the humour. But dementia is one of those rich, forbidden veins of humour. Geoffrey Atherden's Mother & Son here in Oz being a case in point. But it's something specifically about the absence of memory that makes this sort of thing funny, to some anyway. And maybe it's funnier when it's short-term memory that's affected - Iris Murdoch watching the Teletubbies towards the end of her life isn't humorous. It does sort of support Bergson's thesis, in that without short-term memory you can't really function properly in everyday situations, making you like some idiot robot smashing things while trying to get a cup out of the cupboard. 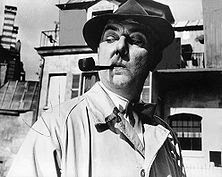 Jacques Tati's Mon Oncle, with Uncle Hulot visiting the ultra-modern house of his sister and becoming a bohemian round peg in all of the house's modern bourgeois square holes. Uncle Hulot. Tati's bohemian slayer of bourgeois life. But funny anyway. But it seems something a bit more than that. Why is it funny to be dysfunctional in this specific way? I've never found losing my car keys funny, nor has anybody living in my house when I arbitrarily blame them for hiding them. There's also possibly some sort of link to the general comic device of the idiot. It's the sweet idiocy of the eternal present in some way that makes some types of dementia hilarious. The Morality of a Speed Bump. Latour. 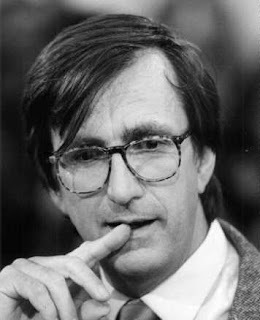 Introducing Bruno Latour. Over the past 20+ years Latour has been carefully and thrillingly re-designing the entire landscape of our lives, and increasingly people are noticing what he's been up to. It really is no exaggeration to say that the world as Latour sees it is remarkable, and very little of the ways we commonly understand things survives unscathed. Not that he in any way imposes a new order on things, or concocts vast fantastic scifi-type fantasies. And he doesn't have a critical bone in his body, so he's not out there debunking things either - he sees critique as a tired, misguided activity. On the contrary his genius (and this is probably what defines all genius) is to show us what we're already doing but don't even notice. Depression. Scourge of the modern age. Been there myself, having a good strong family history on my father's side of the darker moods. Evil twin sister anxiety, which often accompanies and/or precedes depression. Depression is often described in terms of darkness, and when you're depressed the metaphor seems perfect, it is like a darkness - an abyss almost. But also a terrifying abyss, and the terror has no object, which makes it even more terrifying. Something about size. 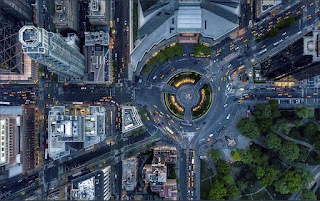 If you use a microscope, telescope, or even climb to the top of a building, you’ll feel like you’re seeing more in some ways. But actually that’s not true, you’re definitely seeing things you couldn’t see without doing those things, but notice how what you gain in one dimension you lose in another. Looking from the top of a building let’s you see a wider extent of the city, but what you gain in width you lose in detail. Ditto for a microscope or telescope, what you gain in magnification you lose in width, dramatically.